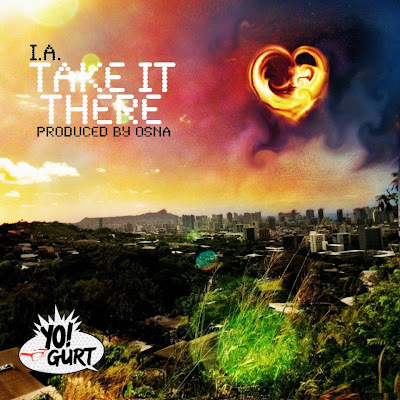 Take It There by I.A. Rapper I.A. dropped a leak “Take It There” off his upcoming “Flyght 808” album. He raps about a woman stuck in a bad relationship and wants to her her “get away”. He just might be a better fit for her than her ex. Listen to more I.A. : Summertyme, Too Cool (Shave Ice), Loco Moco, Too Hot (lookin fly), and The Jump off. This entry was posted in music on March 8, 2012 by Kevin Hsieh - channel APA.